Microplastics have been widely considered as contaminants for the environment and biota. Till now, most previous studies have focused on the identification and characterization of microplastics in freshwater, sea water, and the terrestrial environment. Although microplastics have been extensively detected in the wastewater, research in this area is still lacking and not thoroughly understood. To fill this knowledge gap, the current review article covers the analytical methods of microplastics originating from wastewater streams and describes their sources and occurrences in wastewater treatment plants (WWTPs). Studies indicated that microplastic pollution caused by domestic washing of synthetic fibers could be detected in the effluent; however, most microplastics from personal care and cosmetic products (PCCPs) can be efficiently removed during wastewater treatment. 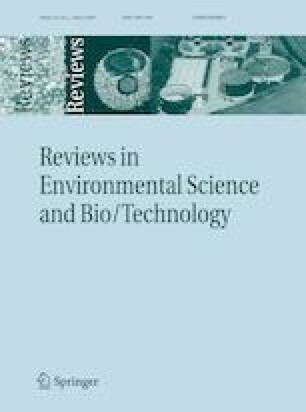 Moreover, various techniques for sampling and analyzing microplastics from wastewater systems are reviewed; while, the implementation of standardized protocols for microplastics is required. Finally, the fate of microplastics during wastewater treatments and the environmental contamination of effluent to environment are presented. Previous studies reported that the advanced wastewater treatment (e.g., membrane bioreactor) is needed for improving the removal efficiency of small-sized microplastics (< 100 µm). Although the role of microplastics as transport vectors for persistent organic pollutants (POPs) is still under debate, they have demonstrated abilities to absorb harmful agents like pharmaceuticals. The authors would like to acknowledge the funding from NSERC through the Discovery Grant awarded to Dr. Amarjeet Bassi. In this article, copyright permission has been obtained for the following figures: Figs. 1, 2, 3, 4 and 7 from their original publishers: Elsevier and ACS Publication respectively. The documents for the permission are available upon request.